For your information, I was trying since many years to try your games but I never succeeded before. Yes, I always failed to try to try. It is almost impossible to get the exact configuration that True Combat mods require. Because to install them it’s needed to have the official Wolf: ET working, then check the patch for Wolf: ET, then check the mod, then check the patch for the mod, then check the patch for the patch etc. Sometime you must tweak your distro too because these binaries are so old! If you are lucky, perhaps the game can launch before crashing later, for example by loading a map. I was trying since many years… And two days ago I succeeded for the first time in my life! It was easy to me: I first installed ET:Legacy, then I made a symlink from ~/.etwolf/tcetest to ~/.etlegacy/tcetest and it has worked out of the box! Then I made another symlink for cqbtest, and it was working too! That means my setup was good. I successfully launched TCE and CQB mods and joined TCE and CQB servers for the first time in my life. 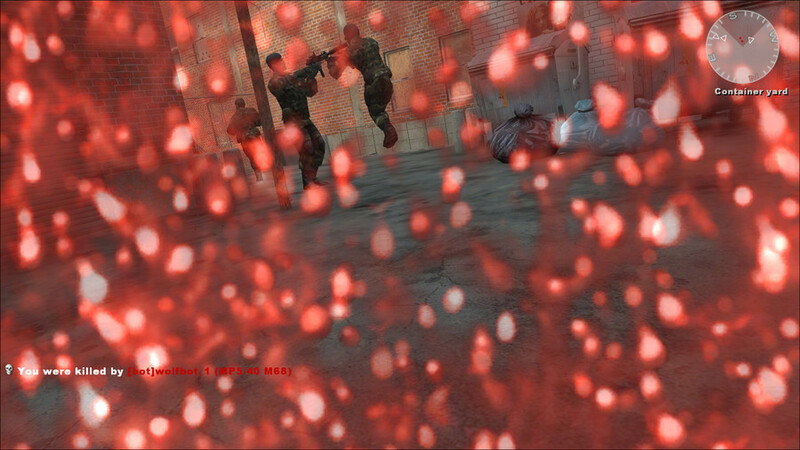 It's a fact, ET:Legacy is the only way to play to CQB on GNU/Linux today. They made an awesome work. 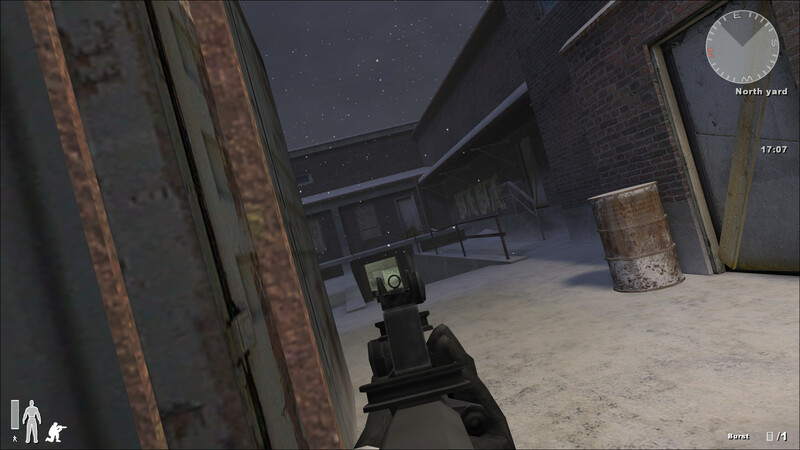 All these screenshots were taken from ET:Legacy running TCE and CQB. So, I wrote a script to write down all I know about how to install TCE and CQB on GNU/Linux because the step is very high for beginners. You can use it or read it to know how it works and how it is complicated to not use it. Since the worst was done and since I was on my momentum I also extended the script to install TrueCombat Quake3 mods. You will find a detailed documentation too. This script can be use to help someone to repackage them since it cherry-picks each usefull file in multiple archives and leaves what is useless apart. Above all, this script is written to help users to install CQB. With this script, GNU/Linux becomes the easier platform to install CQB. There is probably some bugs because CQB is old now, but you can successfully join online servers and play. Last edited by illwieckz on Tue Dec 09, 2014 1:01 am, edited 9 times in total. For your information, I also revived and updated this month the XQF project that was dormant since 8 years. It's a game server browser for GNU/Linux. Since it supports ioquake3 and ET:Legacy, you can browse CQB, TCE and Q3TC mods easily. See the XQF Homepage and 1.0.6 announce and the XQF repository for more information. This will make it much easier for other players to install the game on Linux. later this month and include TCE/CQB servers running et:legacy. then everybody could use it simply by including the image. Since yesterday I renamed it to “PIMI” for “Popular IdTech Mod Installer” since I’m extending it to help ET:Legacy players to install original Wolf:ET content without installing Wolf:ET, and probably other mods not related to TrueCombat. (I edited my post above). script but lacks CSS for the search results. If the end results would be generated into an image through php then everybody could use it simply by including the image. It's a good idea, if you want to print gametypes, you can read what was done in XQF to associate gametype numbers to gametypes strings. You can see the file game.c and search for the strings “wolfet_tcetest_gametypes”, “q3a_truecombat_gametypes” and “q3a_q3tc045_gametypes”. cqbtest use the sames gametypes as tcetest, and in fact, only the 7 one. You have nothing to do to support ET:Legacy servers if you already support Wolf:ET master servers since they uses same master servers than Wolf:ET servers. But beware, the tool above is only made to install CQB/TCE clients, and to connect GNU/Linux ET:Legacy client to CQB/TCE online servers. I can't ensure that ET:Legacy server can host CQB/TCE mods. It still has to be verified and debugged if necessary. Perhaps it's not impossible to host TCE/CQB servers on GNU/Linux, but it will be very tricky, and if ET:Legacy does not work for servers (I don't know) it will probably needs to install deprecated distros to run Wolf:ET with CQB/TCE mods successfully. Last edited by illwieckz on Wed Nov 19, 2014 7:34 am, edited 1 time in total. This is great. We really need developers/contributors for ET:L and CQB/TCE. .D version is for macs, no official IDtech update for other platforms since forever. can play I think it would solve part of the problem for now. php script and some texture sorting&naming conventions to convert them all. If textures are done on a map based trajectory it would be far more efficient then just randomly converting assets. There is a site True Combat: Elite, only the pendrive ... is this true? Someone experienced in Linux, would run to test? Urban Terror, I tested it on Windows7 and it worked perfectly. The first time I read your post I thought it was spam, then I read other posts by you and it seems you are using an automatic translator without any verification. Please, if you don't speak English, do not use an automatic translator, learn to use an automatic translator. Only translate little sentence, one after the other, never translate a whole text. After automatic translation from your language to English, try an automatic translation from English to your language, if it fails to translate from English to your language, it probably failed to translate from your language to English before. If you know another language, after translation from your language to English, try an automatic translation from English to the other language you know. If the translator fails to translate your sentence and the translated text have no sense, cut your sentence in two or three smaller sentences. If the automatic translator failed to translate a small sentence, rewrite the sentence in a different way. Learn to speak only the small set of word and the small set of wording the automatic translator knows how to translate from your language to English. Learn to decrypt English language to detect bad translation yourself. Learn to detect a small subset of correct English wording and learn to write sentence which seems correct after translation. One more thing: if the automatic translator knows how to translate your sentences from English to your language, it probably knows to translate from English to another language too. Take care of those who do not speak English neither your native language. This message was written using an online free translator by applying this methodology. Reread yourself, if you found a mistake after publication, edit the message in the same way that I am doing. Last edited by illwieckz on Wed Nov 19, 2014 10:28 pm, edited 2 times in total. Thank you very much for your attention, are people like you who improve the world. Sorry about the lack of experience with the google translator. I will follow your tutorial and try to improve. You can download the TC: E and run it through a USB PenDrive connected to Linux. put TC: CQB and run on USB PenDrive? 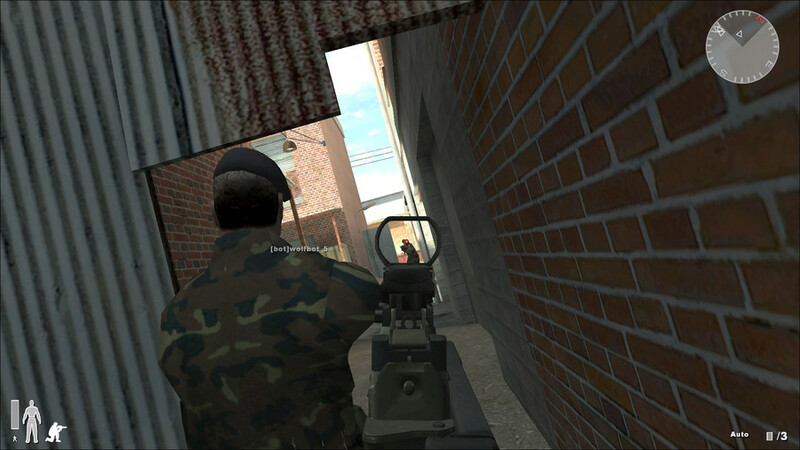 With Windows7 system I tested the game Urban Terror in online matches and it worked perfectly. I believe this helps to spread the game quickly. Sorry about the lack of experience with the google translator. I will follow your tutorial and try to improve. Hi, thank you very much, I must admit: the first time I did not understand at all. Now, I do not know if your English is very good, but it is very understandable. I did not know this initiative before and it seems interesting. Thank you for sharing this. I see they build ready-to-use installer for games like TC:E, CQB and others. I will probably try them, at least to see how it works, perhaps there is something to learn. Share this experience here "step by step" I'm using Ubuntu, but I have not learned to use "file permission" to run games through a USB flash drive. In 2010/2011 there were many servers TC: E and CQB in Linux. Already in 2006/2009 had dozens and dozens of Linux servers, very rare to see TC server using "M$ Windows" good times. Installing ET:Legacy + TC:E was very easy with this. Installing old W:ET + TC:E was really painful in comparison, and I didn't even succeed with that. While TC:E was working, due to missing punkbuster I was not able to join legendary TCE-Massa server, which had a nice number of players yesterday. Anyway, I'm preparing a live USB stick for small LAN party, and my ET:Legacy + TC:E works now perfectly for that purpose (no punkbuster needed). However, there seems to be no CQB servers to join, and I can't host CQB server due to mystical "modified packages" (can't remember exact error message) no matter what I try. Is it possible to get (ET:Legacy +) CQB running while TCE is also installed? Hi wally, I am glad that this tool is useful to you! Yes you can install CQB and TCE on the same ET:Legacy setup without problem. The server problem is a known problem, I wrote a quick and dirty mod patcher to enable TCE and CQB to be hosted by ET:Legacy, but BEWARE, the patched TCE/CQB can only run as server, not client (the patch repairs the server but breaks the client). It's not a problem at all if you want to host a dedicated server. So if you want to host and play TCE/CQB on the same computer, run the patched server with a dedicated user (and different homepath) and run your not patched client with your common user. 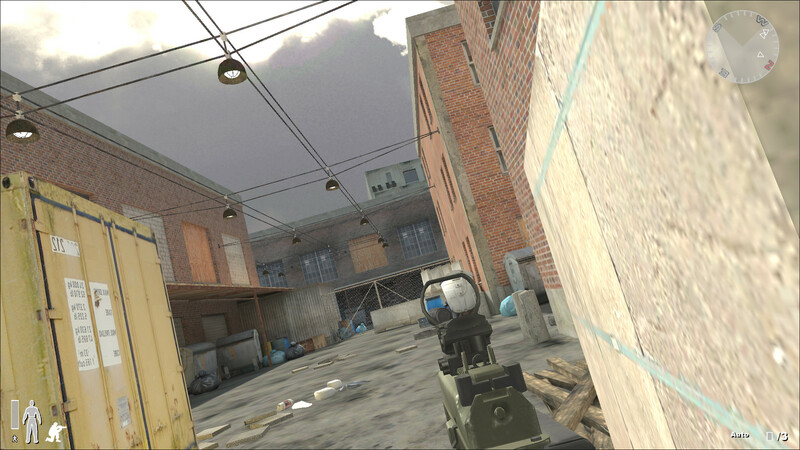 Yes, there is few CQB servers online but there is at least mine since many month, you can connect to gg.illwieckz.net:27962 to play CQB. If the server is down, you can start it from this web interface: http://gg.illwieckz.net . There is also some TCE servers (both Objective and Bodycount) hosted and some other games. These servers are hosted in Europe near Paris, France. I noticed frequently that if you join the TCE server and wait a little, sometime people join. It's not happening everytime, but I noticed this behavior, some people are just waiting others and join when they see someone connect himself. The CQB server is not very played since there is only one map, it's boring. I'm not hosting CQB_DIM since the client does not run on Linux, but there is some talks about a CQB 224 update, perhaps we will be able to run a CQB server with more maps in the future. Welcome and keep fragging ! Thanks, illwieckz, you are awesome! I was able to join your TC:E and TC:CQB servers. They were just not visible for me from built-in deployment lobby. Since there is only one map for CQB (and at first look quite dull one) I think we'll be fine with TC:E 0.49. Though I might setup a dedicated server using your tool. I'm not new to TC:E, but never really tried the CQB. Hopefully it will get new version and more maps some day.